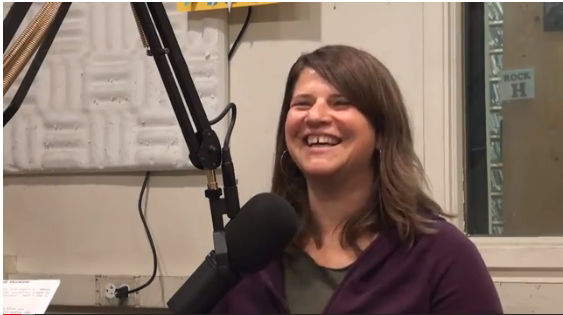 Digital Artist, Filmmaker, Sculptor, Educator, Community Builder, Laura C. Wright was on Artist on Art, April 15th, 2013 to discuss her her interactive sound installation piece, Radido for the 2013 DANM MFA Exhibition, ground(ctrl). Through this Sculptural Site Specific piece using CB radios, Laura’s piece, Radido, explores our ability to connect with others through the architecture of an interactive CB radio sculpture. Participants are invited to engage in the amplification, interruption, and chance encounter of the transmitted voice as a mirror to assess our current means for communication. This summer quarter, Derek will teach a course in UC Santa Cruz's Summmer Session, DANM 141 Introduction to Soft Interactions: Fiber Arts and Reactive Technologies. You will be able to see the 2013 Digital Arts and New Media MFA exhibition, ground(ctrl) at the Digital Arts Research Center, UCSC, and play with Radido, April 27-28 + May 2-5, 2013.